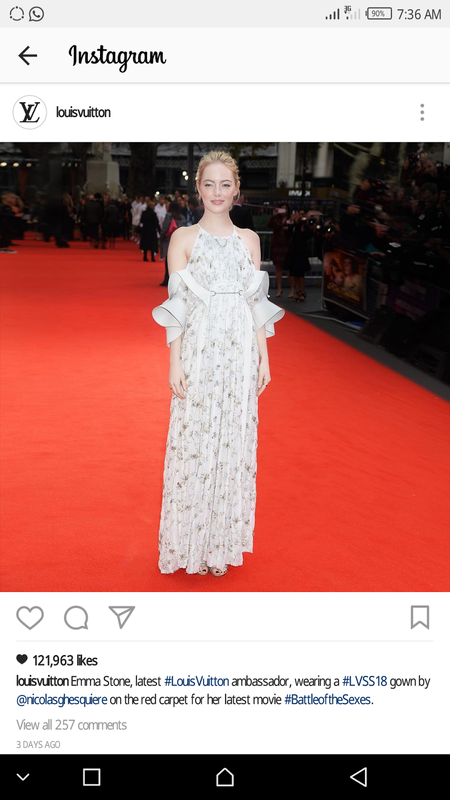 American actress Emma Stone, 28 and the highest-paid actress in the world was seen wearing an embroidered LV SS18 gown by Nicolas Ghesquière on the red carpet for her latest movie Battle of the Sexes. 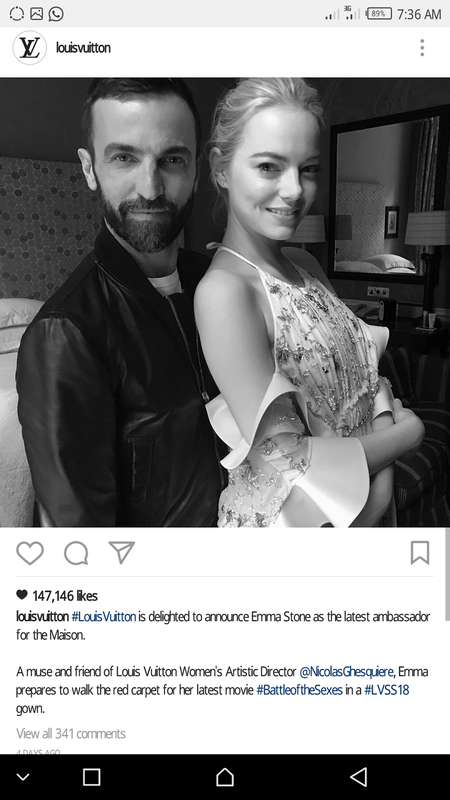 #LouisVuitton is delighted to announce Emma Stone as the latest ambassador for the Maison. A muse and friend of Louis Vuitton Women’s Artistic Director @NicolasGhesquiere, Emma prepares to walk the red carpet for her latest movie #BattleoftheSexes in a #LVSS18 gown. 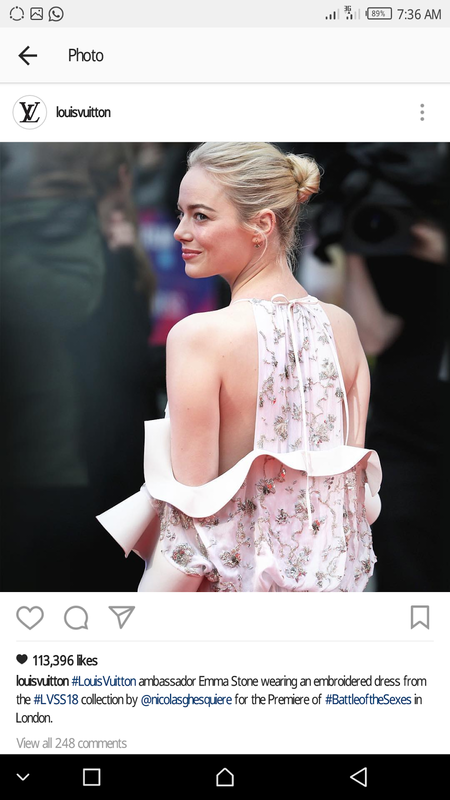 Emma Stone born November 6, 1988 has received such accolades as an Academy Award, a BAFTA Award, a Golden Globe Award, and three Screen Actors Guild Awards. Stone appeared in Forbes Celebrity 100 in 2013 and the Time 100 in 2017, and is often described by the media as one of the most talented actresses of her generation.